On June 5, Russian Prime Minister Vladimir Putin bottle-fed moose calves at the Losiny Ostrov (Moose Island) National Park in Moscow in the run-up to World Environment Day (WED), established by the United Nations General Assembly in 1972. Putin visited a moose-breeding compound along with Moscow school students, on a guided tour of the park. The Prime Minister first met a female moose named Lusha, and fed her brown bread and a carrot. 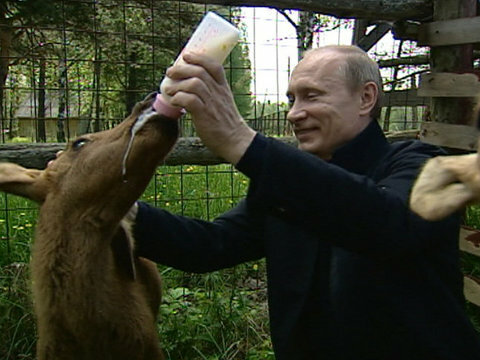 Local employees suggested that Putin and the school students bottle-feed the calves in an open-air cage. After feeding milk to the calves, Putin took part in a tree-planting ceremony. The kids gave him the emblem of Moscow’s North Administrative District, a baseball cap with the Young Environmentalist inscription and a plush moose. Minister of Natural Resources and Environment Yury Trutnev gave Putin a Merited Environmental Protection Worker badge, which he immediately pinned on his sweater. 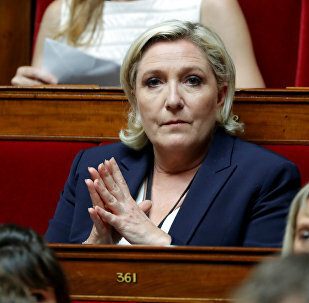 The head of France's National Front and left-wing leader Jean-Luc Melenchon were both booed away from the protest against anti-Semitism, which took place in Paris after the brutal murder of an 85-year-old Holocaust survivor. Amid a flurry of questions fielded by the Deputy Governor of the Kemerovo Region following Sunday's mall blaze which claimed the lives of 41 children, one of the most painful was voiced by a dead child’s friend. A "disturbing" video showing animal cruelty has caused a storm of public outrage. 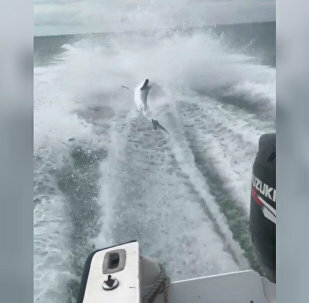 During the summer, a video surfaced showing three young men on a speedboat with a shark being dragged behind it with a rope. 'World Order' is a documentary film produced for Russian TV which aired this December. Vladimir Putin was among those interviewed for the documentary. Sputnik presents the full version of the film with English subtitles.